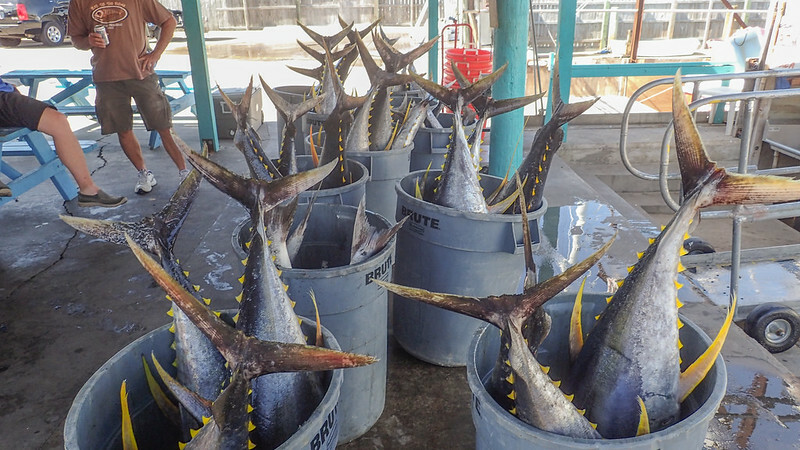 Yellowfin Tuna - Offshore November / Interested? I think i remember that lure...... . Good times!!!!! He ties good knots Geezy! I still need to learn that one Glen! All my diamond jigs came in. These things are in a league I’ve never played with before! Thats great! Sometimes the hooks aren't the best on them and will need to be replaced with stronger ones. Hard to believe but they will straighten them or just plain break them! I can't wait to see y'all get going out there! We’ll get schooled on the ride out. goodie box came in the mail today. Aubrey ordered a bunch of lures that should be in this week also. JAK ASSOCIATES - WindOn Leaders found on EBay. 50lb up to 200lb - depends on the reel and presentation on size. Connection is 27 turn Bimini twist in braid - secured with waterproof Locktight super glue at knot wrap. Two inner locking twists from the wind on leader to mainline for the connection. Haven't had a single failure knot and or leader on tuna. One casting setup went two trips - same reel, braid and wind-on leader before I replaced it. Caught and decked over 12 tuna from 50 to over 100lbs. I can tie and rig Bimini's on the ride for those who don't have this connection type dialed in. Just need to buy the mono and or flouro wind-on leaders. They come in 25FT length sizes. Top shot leaders are 25 to 50 yard sizes. Essentially the same connection but the leader itself is much longer. I run one Avet HX Raptor with a 50 yard top shot - 80lb leader and 80lb braid. I use this for super deep jigging and chunking baits down 300 to 400ft when the tuna are holding super deep. I've hooked Bigeye tuna on this setup fishing super deep as well as a super massive sized squid that pulled off at floater Perdido. The drag on this reel setup goes to 50 lbs on full drag. The 80 to 80 has enough give with stretch to give me the fight desired going straight up and down deep - rod blank is rated 40 - 100lb Calstar Graphite Tuna blank. These fish fight hard - real hard. Some setup combinations are less harsh with shock on the rod blank during the fight. Others can be rather stiff and or unforgiving as well. The rod becomes a shock absorber of sorts and having some stretch versus no stretch in the line, can offset a soft and or hard rod blank. Pulling on these fish - you will notice a difference in how soft or hard the rod feels at the rail under a full fight load. Some will beat the snot out of you and others are softer and easier on the back and shoulders. Too soft, you can't lift and turn the tuna's head, too hard - you get beat down and the fish can surge and overpower you due to fatigue - shock felt during hard surges more in the arms and hands. Last edited by AtTheWall; 09-18-2018 at 12:04 PM. 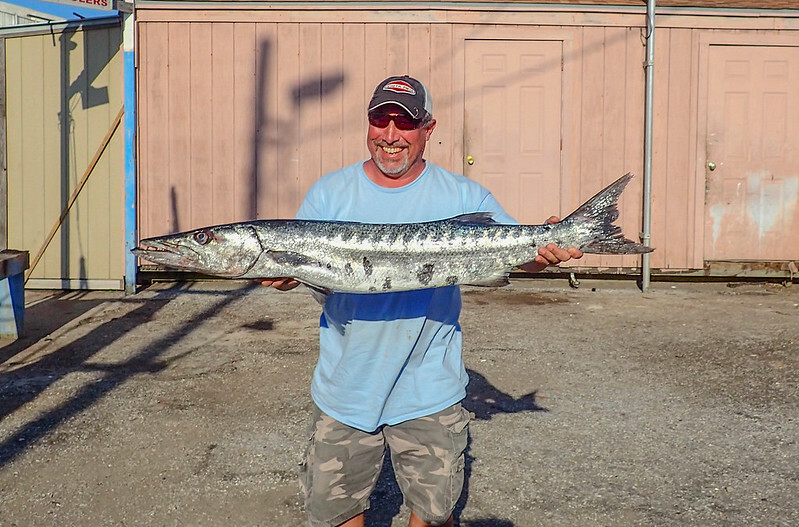 Another thing - having some stranded steel handy - just in case you want to knock off a Jurassic sized Barracuda off the old fish species bucket list, is a must. They fry up perfect for fish tacos! Working stupid hours right now. And thinking of TUNA! You are gonna love this trip!!! 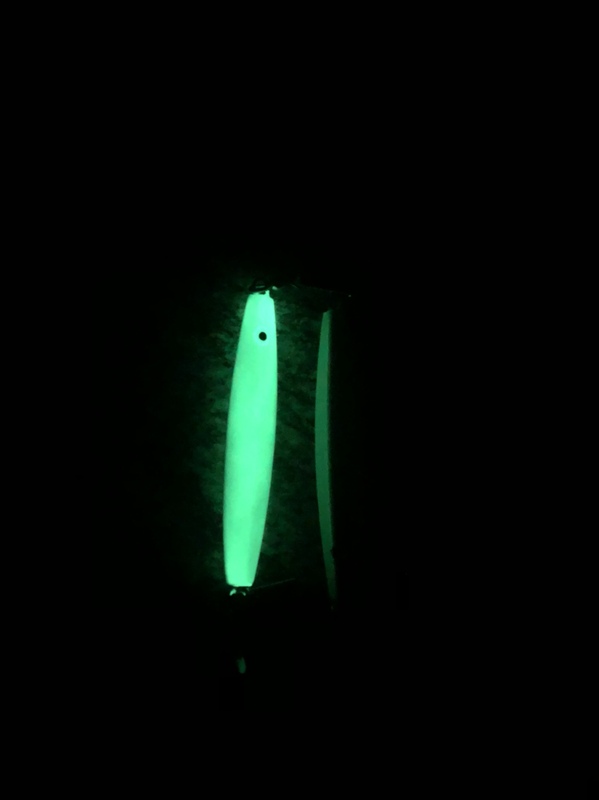 Nothing like a wild tuna bite - in the lights of an offshore oil platform and lights on the boat. Thumping tails pounding the deck as these fish are gaffed. If you pass out in the bunk, the sound of thumping tails on the deck will basically get you up and out on the deck PRONTO! People running around with rods bowed up on tuna, circling the boat in pursuit - it's unreal really. Two, three, four, five and more - all bowed up and dancing with tuna. 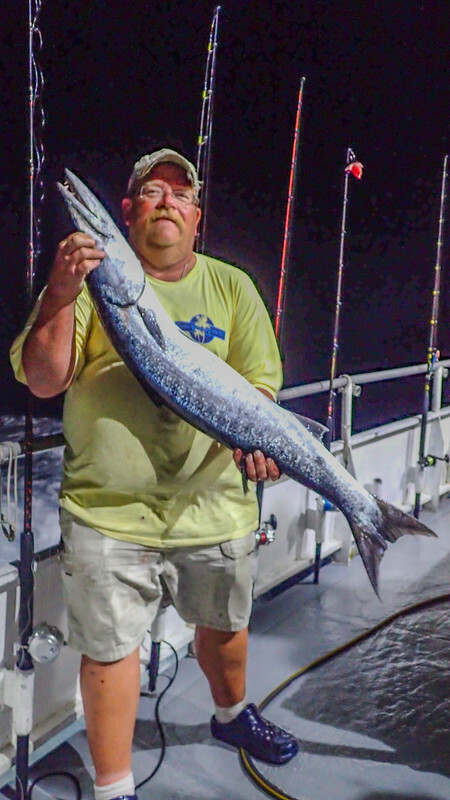 And as this goes on, Barracuda and or Mahi may be dancing in the lights chasing baits and or bait fish attracted to the lights. Or you will see Mahi and or Tuna jumping out of the water, tearing up on a topwater feed. Marlin swords slashing at bait at sunrise and or running down a hooked tuna. Massive sharks, squid and or swordfish - all over 10 - 12 ft, have been spotted circling the boat. When the feeder goes off offshore - crap dies everywhere cuz it's feeding time! Last edited by AtTheWall; 09-21-2018 at 07:40 AM. Not sure if y’all have any newbies, but more important than leaders and lures are patches. Get your docs to write you a script and don’t leave port without them. Nov weather is likely to be rough and a patch can save your ***. Find More Posts by Chase This! Definitely bummed missing this trip. Originally Posted by Chase This! No doubt. I’ve got mine. Hot daggum. I'm adding this trip to my bucket list. The blackfin will love that!!! I can't wait to see all the new folks experience this! Its a blast!!! About a month out. Im ready. We had a "memorable" trip to Perdido! I think it was 8-10s the whole trip! Absolutely misserable conditions and the trip we refer to when bad conditions come up! Gotcha!!! Been there. No fun. I bit the bullet on our final piece of home processing equipment... good timing for a ton of tuna! And deer season. You’ll love it. We use ours may more than I thought we would. Extended weather looks promising for the sail period. Course it's so far out, hard to put faith into much of it. Historical air temps for the dates we sail in november: 79 high and 59 low. Extended forecast is slotted in that zone. I typically wear shorts and slip on a pair of Frogg Togg rain pants, if things get cool at night. During the dead of winter, 100 miles offshore into the Gulf of Mexico, the surface water temps stay right at 70 - 71 degrees. This consistent water temp moderates the felt cold factor offshore somewhat. Really hoping the Mahi Mahi / Dorado swing back into that 5 - 6 year mature fish cycle this year? Every 4 - 6 years, a major mature Dorado gathering occurs at any one of the offshore floaters. The class and quality of fish in this school put Bull Mahi into the 6ft length category. I managed to nail a 5'3" bull during the last mass Mahi gathering, which puts the cycle on schedule for something this year - fingers crossed. Like a 5 year old waiting for Christmas.............this annual tuna gathering is the best wait for event, I've ever had to endure. It's that **** good! 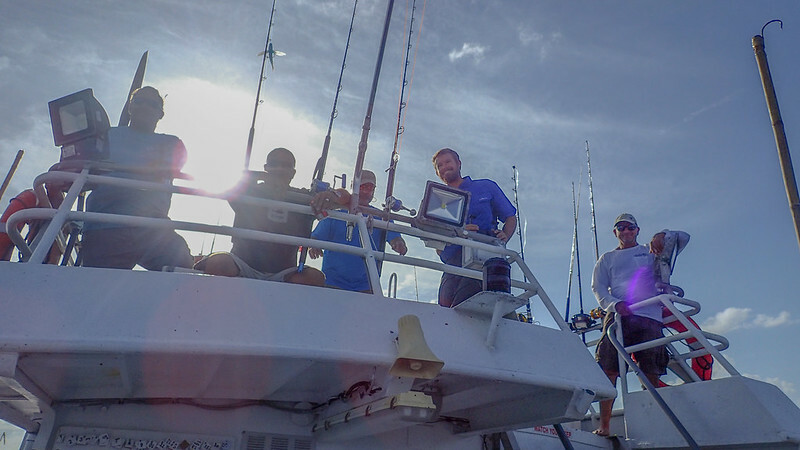 And fishing with Timmy and crew aboard Dolphin Express - we work as a Team around the clock till it fires. Can't wait till you do retire Glen. I'll take more vacation time off and Doug, you and I can chase some fins up and down the coast regularly. Lot of species on the list, that many do not target much here in Texas. Got it all in South Texas - time to get some of this alternative stuff dialed in regularly. Big Eye tuna, Tarpon, TripleTail & Snook to name a few. We know the where and conditions that are prime to deliver......just need to put the time in to score, consistently enough to burn a few weeks dialing in the bite. Timmy came back from California recharged. We have some serious offshore opportunities here in Texas, without running 2 days to get on scene. 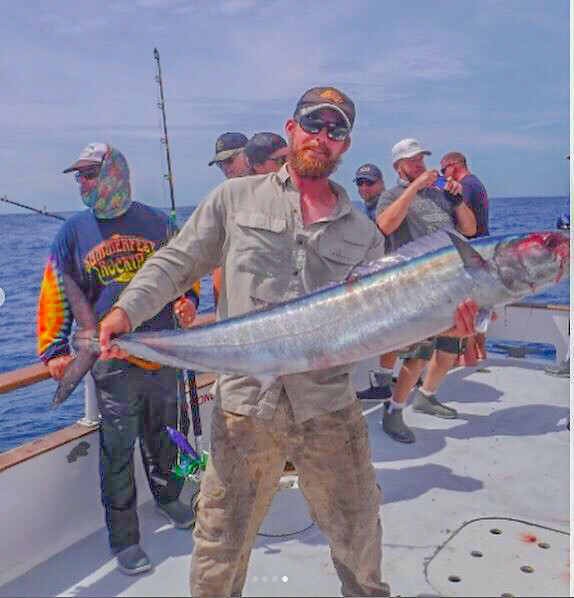 We can plan a few Private Charters to focus on stuff we know is there......just need the right people to fish the right way to make it happen. I see some darn good fishing times ahead - beyond what we've done to date. Last edited by AtTheWall; 10-14-2018 at 12:32 PM. You guys are going to crush it this year! I keep thiking my old body is up to one more of these trips before I get too old! No question but they are hard...but so much fun, and the fellow pirates are what make the trip! I'll be watching for pics! Always takes me a couple of days to recover Randy! I also find myself sleeping a lot more the last few trips! First few times we went i never laid down till the trip back. Now i sleep on the way out and hit the bunk anytime we are moving spots. Got to catch some rest while you can. I really hope you come next trip! Garca gets lonely when your not there! Also Rob and Dale have a new friend named Herm they want to introduce you to! You broke the news about Herm?! Yea ...... she is quite a catch!